Author of 'The Anxious Entrepreneur,' 'Township Biz Fastrack' and 2 other business books. Creator of EBC Business Model and Business Me Young. Contributor to outlets such Biz Community and Huffington Post. Parallel entrepreneur for over 10 years. Consultant, writer and speaker on entrepreneurship, marketing, publishing and development economics. Principal at PsychHero Consulting . Tiisetso Maloma is a pattern modeller, researcher, storyteller, entrepreneur and author of The Anxious Entrepreneur, Forget the Business Plan Use this Short Model, Township Biz Fastrack, Township Biz Adjacent and Tales of an African Entrepreneur. He has innovated and developed business and behaviour tools such as the EBC Business Model, Spaza/Convenience Metrical and The Human Greed Pyramid. Tiisetso has accumulated experience and contributed knowledge in enterprise development and consumer behaviour. He has been a parallel entrepreneur for over ten years, and in various fields. In those ten years, he has been one of the foremost creators of entrepreneurship content in South Africa. He has extensively written and researched about forecasting innovation, creativity, anxiety, self-help, NLP, evolutionary psychology and development economics. As an entrepreneurship developer, he has worked with the likes of Standard Bank, The Innovation Hub, Sappi, ABSA, The Hope Factory, Transnet Matlafatso Centre and Ndalo Media. He teaches entrepreneurship through workshops he has developed: Business Me 101, and The Adjacent Possible of Entrepreneurship Innovation. 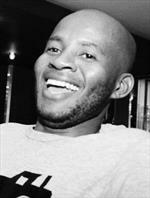 Companies and initiatives he has founded include www.bulabuka.co.za, www.startuppicnic.co.za, www.tiisetsomaloma.com, gabble heights Clothing eKhaya Moji and TM Training & Consultants. He's written for Huffington Post, Biz Community, Under 30 CEO (USA), Destiny Man, How We Made It in Africa, Business Report, NSBC and many others. Tiisetso holds a National Diploma in Accounting, and a Post Graduate Diploma in Criminal Justice and Forensic Investigations, both from the University of Johannesburg.